In January 2018, the City hired a consultant to prepare a detailed 2018 Water Rate Study. After four public workshops, the City Council received the report on June 25, 2018 and agreed rate adjustments were needed to continue providing a reliable water supply. Notices concerning proposed water rate increases were mailed to City water customers and property owners July 5, 2018. A public hearing was held on August 20, 2018 to consider proposed increases in the City’s rates and charges for water service. The City Council approved three (3) years of proposed rate increases. The new rates will be effective September 1, 2018. What do water rates pay for? Water rates pay for ongoing operations, maintenance, repair and improvements of the City’s water utility. Costs include the purchase of water plus operation and maintenance of wells, water mains, fire hydrants, valves, meters, pumps and other infrastructure. Rates also pay for capital improvement projects to upgrade water pipes and other infrastructure to ensure the City can continue to serve safe and reliable water into the future. The City purchases about 90% of its water from the Sonoma County Water Agency (SCWA) to serve residential, commercial and irrigation customers. Why do my water rates need to increase? Residents, visitors and businesses in Sonoma count on the City to deliver high-quality, reliable water for a variety of community needs including indoor use, outside irrigation and fire protection. The water utility is self-funded, meaning its revenues must equal its expenditures. Water rates must cover the cost of service and maintain prudent reserves in case of another drought or an emergency such as an earthquake or wildfire that could damage major infrastructure. Costs to provide water service are increasing. The cost to purchase surface water from the Sonoma County Water Agency is increasing 6% this year and is expected to increase by about the same amount in each of the next five years. When SCWA’s rates go up, the City’s cost must, too. There are increased costs for required maintenance and improvements of the City’s water system to ensure reliable and safe water supplies and to promote more efficient water use. The City plans to upsize pipes to ensure adequate fire protection in some neighborhoods, upgrade aging water mains, and install new advanced meters that provide immediate information about excessive water use to both the City and customers – to allow leaks to be fixed quickly and save water. Deferring maintenance projects makes it more expensive in the future. As we seek to conserve water as a precious resource, it is critical to have the right tools and information. A rate increase is needed so the water utility is financially and operationally sustainable now and in the future. How much more revenue does the Water Utility need to raise? The overall utility-wide revenue increase needed from September 2018 through June 2019 is 3.5%. Subsequent required revenue increases are 7.5% in each of July 2019, 2020, 2021, and 2022. The total revenue increases needed per year results in the rate increases shown in the Proposed Monthly Service Charges table in the Proposition 218 Notice. How much is the rate increase? Customers’ actual increases will differ depending on the type of account (residential, commercial, industrial), meter size, and water use. The specific increase to you will depend on the size of your meter and the amount of water you use. There will be a rate increase effective September 1. There will not be a rate increase in January 2019. Future rate increases will occur July 1st of each year. When were water rates last increased? Water rates were last studied in 2014, and the City Council adopted a 5-year schedule of increases. The last rate increase was 5% which was implemented in February 2018. Is this rate increase going to pay for better utility services? Yes. The rate increase is needed to maintain the current level of ser- vice, improve infrastructure, and to maintain reliable and safe water service. Without these increases, the public could see reduced service levels, higher future costs due to deferred maintenance, and decreased reliability. The increase will also fund fire flow improvements to protect public safety as well as advanced water meter upgrades to communicate real time water use and to quickly identify leaks or other problems, which will encourage water conservation. The City is trying to balance the funding needed for a well-managed water utility with the community’s ability to pay for them. Why did the City do another water rate study? Water rate studies are usually done every four or five years. The 2014 Water Rate Study came just before an important court decision which changed how water rates are calculated under Proposition 218 (a State law regulating rates), particularly regarding tiered rates (rates that increase with consumption to encourage conservation). In light of this and in response to citizen concerns, the City launched a new water rate study in 2018. To reflect this new legal requirement, this study reduces the City’s tiered rates structure. Unfortunately, this means that costs that used to be paid for by high-volume water users must now be spread to all customers and most customers will see their bills increase. What is the difference between fixed and usage rates? The City charges both a fixed monthly service charge and a water use or “volumetric” rate. The fixed service charge is based on the size of a meter and is a flat sum due each month without respect to water use. All Single Family Residential users pay the same monthly charge because the small differences among 5/8”, 3/4” and 1-inch meters do not justify different rates. The water use, or volumetric rate, is calculated by multiplying the rate by the number of gallons a customer uses (in 1,000 gallon units or “kgals”) in a billing period. Did the rate structure change? Yes, the number of tiers (amounts of water available at progressively higher prices to encourage conservation) for the volumetric charges for Single Family customers are to be reduced from four to three. The amount of water available in each tier is also changed to reflect legal requirements. Tiers for other customer categories were replaced with a single rate per 1,000 gallons of water used. Why is there no longer a surcharge for customers outside the City? Why is an elevation charge added? Legal changes required this surcharge to end. However, the City has included charges to customers at higher elevations (all of whom are outside the City) to reflect the higher cost to operate pumps to serve those elevations. This affects customers in the hills around the Thornsberry area (Zone 2 on City water maps). These are called an “elevation charge” and apply to 52 customers. See a list of addresses in Zone 2. Why doesn’t new development pay for capital improvements? New development does pay a one-time connection fee to “buy in” to the system. New development is also required to pay for and install infrastructure required to serve it. 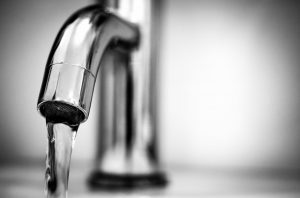 Capital improvements funded by customers’ rates are needed to maintain and improve the water sys- tem for the benefit of current users, not to serve new development. Why does the City need capital improvements and why does that affect our rates? The City’s water utility owns $16.4 million in infrastructure that is used to deliver water. A reliable and safe water system is a valuable asset and an essential element of the quality of life in Sonoma. Approximately $7.4 million of capital improvement projects are planned over the next five years to replace aging water mains, to make necessary improvements to maintain water service in the volumes and at the pressures needed to fight fires, and to install advanced meter systems to lower operating costs, quickly detect leaks and other problems, and encourage conservation. These improvements will replace old and potentially leaking lines and provide real-time information to quickly identify leaks or other problems. California voters adopted Proposition 218 in November 1996 to amend the State Constitution to establish the process by which public agencies can raise taxes or service fees. It requires greater public involvement in water rate-making. Among other things, Proposition 218 requires the City to mail a notice of proposed water rates to every property owner and customer to hold a public hearing. It also allows ratepayers to submit written protests of proposed rates. If a majority of parcel owners or customers do so, the City cannot impose the new rates. Why did I get two letters? The City sent letters to all the utility account holders (rate payers) in addition to all the property owners. If you own your home and are a water customer, you may get two letters. This occurred when there were differences between the name listed on the water account and the name listed on the County Assessor’s database of property owners. We want everyone to get notice and ensure full transparency and public information and to avoid legal issues. What do I have to do to protest the water rate increase? Written protests can be mailed to the City Clerk or delivered in person. If you would like to protest these proposed water rates, you need to send a signed, written (not emailed) protest to the office of the City Clerk of the City of Sonoma by 6 pm on Mon- day, August 20, 2018. You may also attend the public hearing and submit a written protest to the City Clerk before the close of the Public Hearing on Monday, August 20, 2018. You must include your printed or typed name, the service ad- dress (or Assessor’s Parcel Number) for your account, and your signature. If this information is not clear and complete, your protest may not be counted. You must state your opposition to the proposed fee. One protest per parcel or account, by either an account holder or a property owner, will be sufficient to make an objection for that parcel. A majority protest requires written protests for a majority of the properties the City serves, measured by customer accounts. The City of Sonoma owns and operates a water transmission and distribution system with the service goal of providing clean drinking water to customers. The City’s Water Utility is funded through the Water Enterprise Fund, which means that costs and revenues are segmented in a separate fund outside of the City’s General Fund. The creation of rates to charge water customers requires a detailed financial and rate analysis process in order to create a sustainable financial plan and an optimal rate structure based on various policy objectives, as well as to ensure compliance with Proposition 218 (a state law that limits the methods by which local governments can create or increase taxes, fees and charges). Due to several factors including the recent unprecedented drought, continual changes in laws governing water rates, and concerns raised by members of the public, the City Council budgeted funding in the FY 17/18 budget and directed staff to initiate a comprehensive water rate study and analysis. On August 15, 2017, the City released a Request for Proposal to prepare a water rate study to update the City’s November 2014 Water Rate Study. On November 20, 2017, the City Council approved a contract with Raftelis Financial Consultants to conduct a detailed water rate study, as well as a contract with Michael Colantuono, an expert legal advisor who specializes in water rate studies and water law. The water rate study was conducted over a six-month period (January – June 2018) with Raftelis leading four public presentations/workshops during regular City Council meetings. The City Council received the report on June 25, 2018 and agreed rate adjustments are needed to continue providing a reliable water supply. The four informational sessions and dates are shown below. In July, the City mailed notices concerning proposed water rate increases were to City water customers and property owners. To read the full notice concerning proposed water rate increases, public hearing information and frequently asked questions, download Water Rates Notice – Part 1 and Water Rates Notice – Part 2. A public hearing was held on August 20, 2018 to consider proposed increases in the City’s rates and charges for water service. The City Council approved three (3) years of proposed rate increases. The new rates will be effective September 1, 2018.